Join us for the inaugural regional expedition providing the opportunity to immerse oneself within a model experiential education program and connect with other experiential educators in the Northeast region. 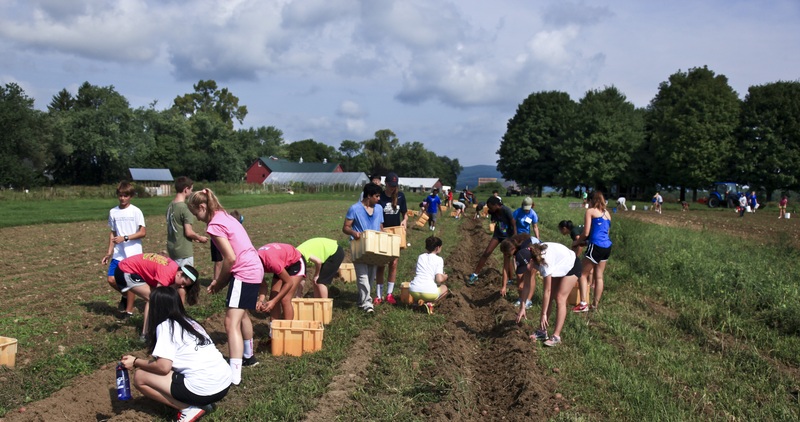 Participants will engage in a hands-on experience with both faculty and students who are working to meaningfully integrate life and learning on the school’s farm with life and learning on campus. Fairfield Farm is a stunning 280-acre property just a mile from the Hotchkiss campus. The farm was established in 2008 and since has worked to grow and sustain a viable production farm model that embraces and enhances the educational (and nutritional) goals of the school. 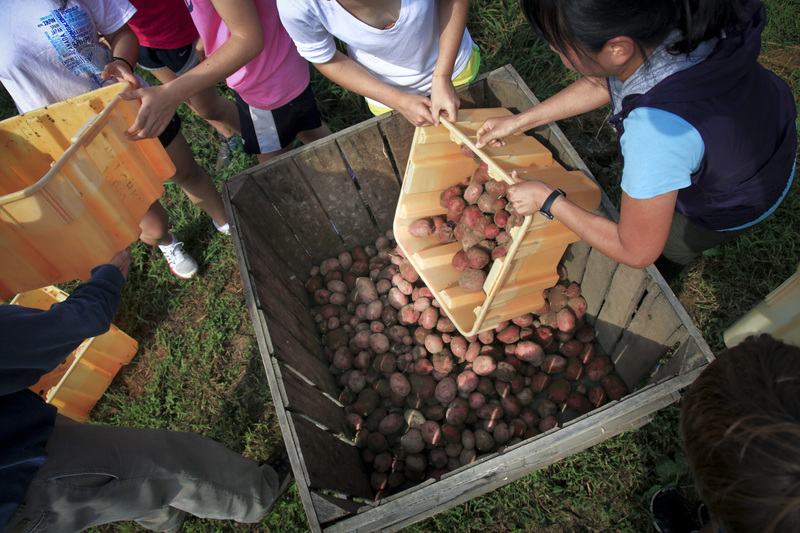 Currently, Fairfield Farm supplies 7% of the school’s produce and meat – over 47,000 lbs. for the 2017 growing season which also offset approximately $100,000 of dining service purchasing. 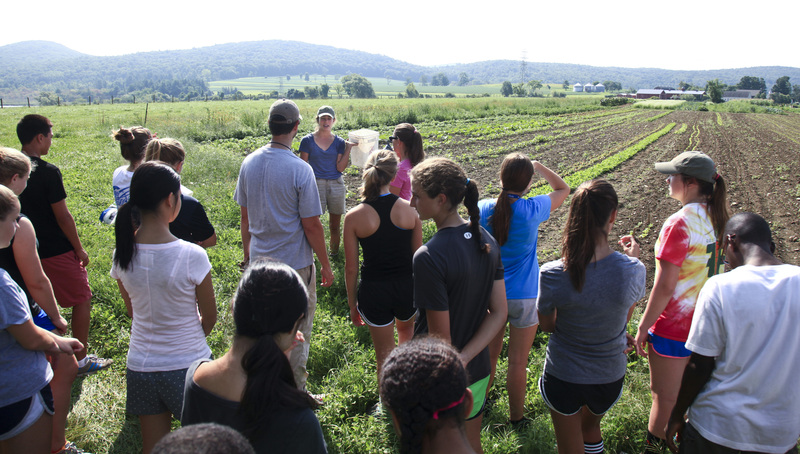 With the coordinated support of our Farm Curriculum Coordinator and Farm Manager, students and faculty engage with the farm both intellectually and physically. At every level, they strive to integrate and practice effective experiential education methodologies. They have had their share of successes and struggles. Come enjoy this beautiful place, eat well and work alongside the Hotchkiss community for half a day as we endeavor to bring to life the experiential education goals so many of us share. 1:00 p.m. Arrive early for an optional lunch in the Dining Hall. See firsthand how the farm has influenced our dining services policies and practices (including local procurement). 2:00 p.m. Program begins at the farm. Personal introductions and orientation to the day ’s activities. Meet Farm manager Ellie Youngblood and tour the farm facilities and fields. Group discussion regarding the challenges and successes of connecting learning and place through the farm programs. Please be prepared to engage and share challenges and/or visions of your own place-based programming. 4:00 p.m. Join the students on the farm team (FFEAT) and work alongside them for 90 minutes as they work through their chores and activities of the day. This will include specific harvesting, cleaning & dinner prep in the farm’s commercial kitchen. We will work closely with our Director of Dining Services Mike Webster. 6:00 p.m. Beverages and final dinner preparations. We will be joined by several faculty members who incorporate the farm and experiential education practices in their classes. 6:30 p.m. Dinner, drinks and continued conversation around the fire circle. 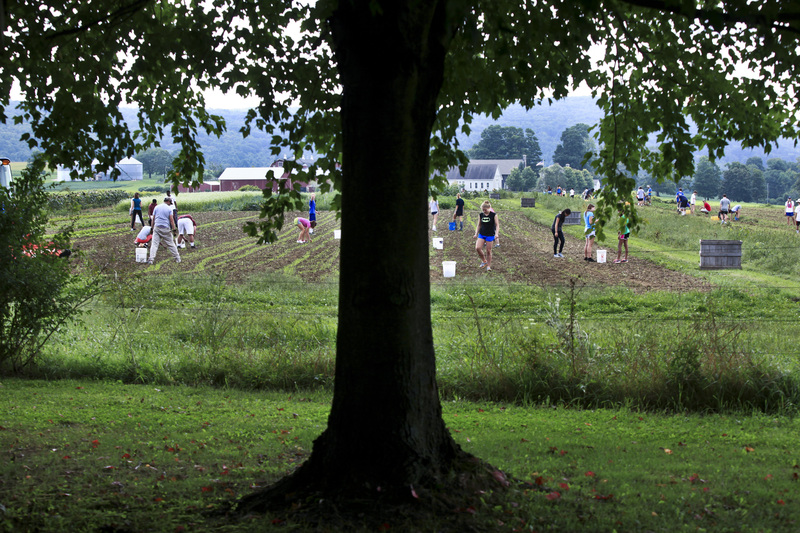 8:00 p.m. Clean up and depart OR participants have the option of spending the night at the farm and continuing the conversations further into the evening. No extra charge – just have your own sleeping bag and a pad! Charlie Noyes began his teaching career in 1986 at The Hotchkiss School in Lakeville, CT, where he currently manages various aspects of the developing farm program and teaches visual art. He earned a B.A. in English from Middlebury College and an M.A. in art education from RISD. Past roles and responsibilities at Hotchkiss include art department chair and art gallery co-director. He also served as director of the Beginning Teachers Institute (BTI) for the Connecticut Association of Independent Schools from 1990-2007. In 2008 he developed and implemented a two-season afternoon co-curricular program to support a very nascent Hotchkiss farming initiative. These days, in addition to strengthening this co-curricular farm program, he is working to develop substantive, experientially-driven farm based coursework in his half-time role as Farm Curriculum Coordinator. In addition to teaching, he is a painter and illustrator. He also pursues interests in music, carpentry and all things out of doors. He lives off campus with his wife Karin, also an artist. They have three grown children and four grandchildren (so far). Charlie has served as an ISEEN board member since 2014. Participants who plan to stay on the farm should know - No tents will be provided. You can bring a sleeping bag if you'd like. There is an option to either stay the night in the farm structure or pitch your own tent under the stars. More specific details and packing information will be provided as the time gets closer. Participants are not required to stay the night if you live within close driving distance. The ISEEN Regional Expedition will be limited to 20 participants. Participants should arrive between 1:00 and 2:00 pm. The Expedition will officially begin at 2:00 p.m. on Friday, October 5 and conclude at 8:00 p.m. the same day. Please know that we value your participation at the ISEEN Expedition and we feel it is critical for participants to arrive on time and leave on time. Arriving late or leaving early not only diminishes the quality of your experience but also the shared experience of your peers. If you know that you cannot manage the full schedule, please consider joining us on a future Expedition. *Registration fee includes all programming participation, lunch, and dinner the day of the event. General registration questions? Contact the ISEEN office.